This time of year, I mostly just want to nest, watch netflix, and eat soup. Is that classic Seattle seasonal depression setting in? Maybe. But at least soup is delicious. 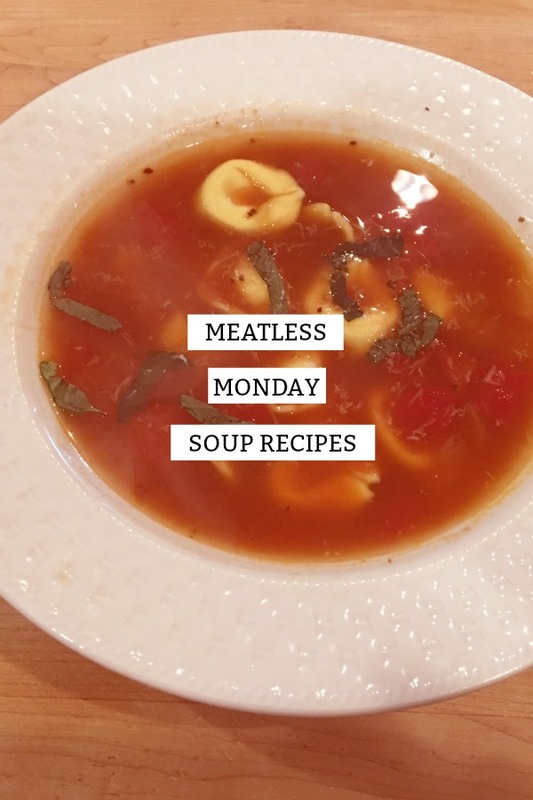 AND if you aren't a regular vegetarian, soup is the perfect place to start. 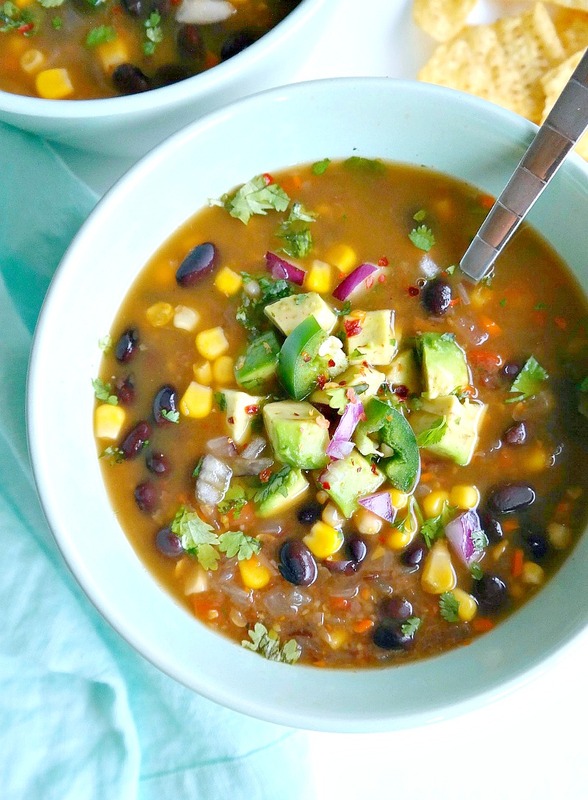 You probably already like vegetarian soups! 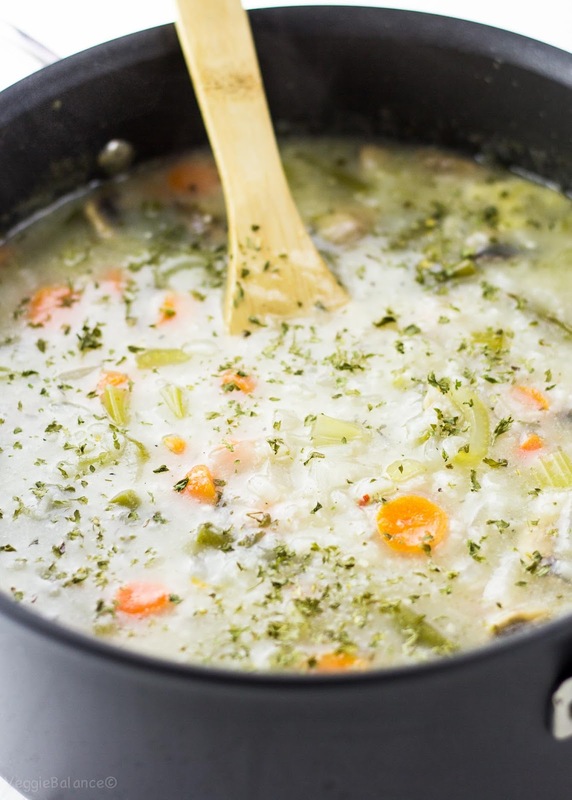 And you can definitely get soup that feels as hearty and filling as something with meat. Soup for the win! 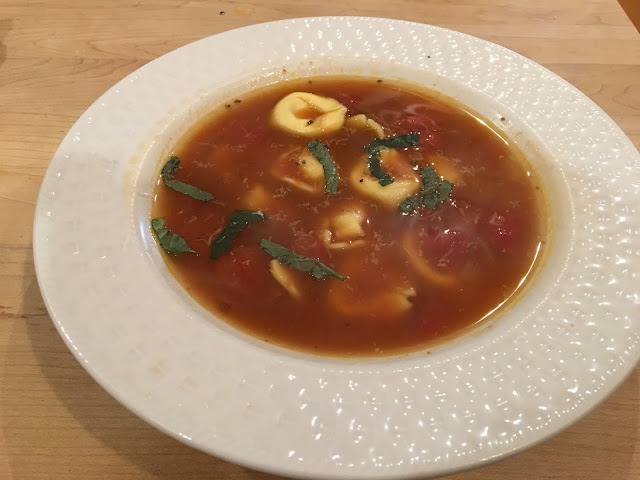 So, there are infinite soups to choose from, but these are some that I think look CRAZY GOOD and might be a fun experiment to boot. This wild rice soup from Veggie Balance looks homey and warm, like the kind of thing you eat when you have a cold. Which, really, don't we all? 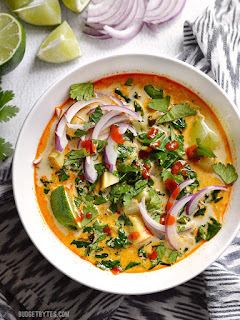 Ok, someone make this Thai Curry Soup from Budget Bytes, and then invite me over. Seriously, does that not look ridiculously good? 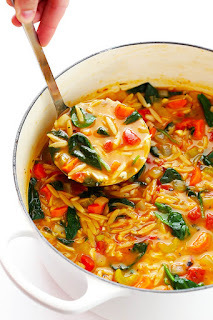 This Italian orzo soup from Gimme Some Oven looks amazing. And you could mess with it to add other veggies. I think this would be a really fun one for little ones to eat (just lord help the clean up). 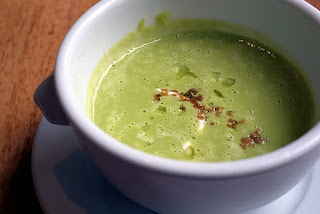 We used to walk to Panera on days when I was just done adulting, and my toddler LOVED their cheesy broccoli soup. 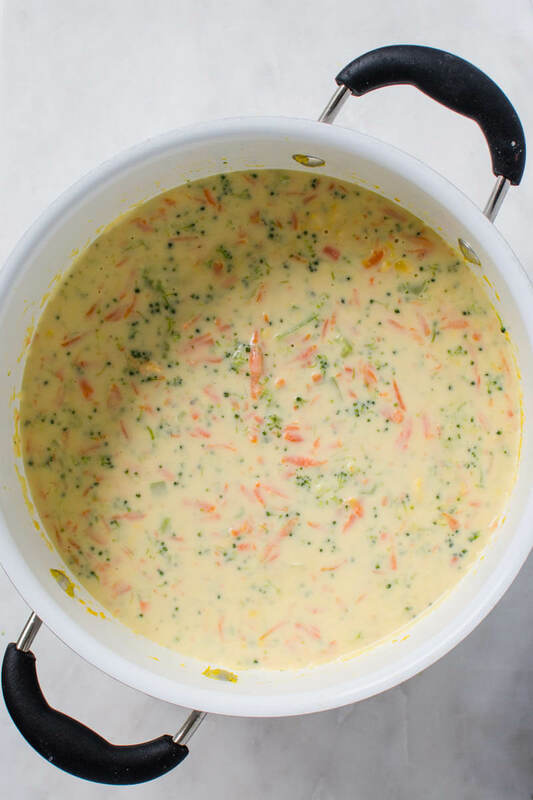 This recipe from Eazy Peazy Mealz looks like that perfect combination of cheesiness and broccoli. Maybe not the healthiest? But yummy. I love colorful food in the winter time and this black bean soup from The Glowing Fridge looks beautiful and sounds delicious. Perfect thing to brighten up the grey winter months. Healthy Green Savvy is one of my favorite blogs and peas are my favorite veggies, so her post on veggie soups is basically a new favorite. She has tons of great advice in there as well as a recipe I can't wait to try. 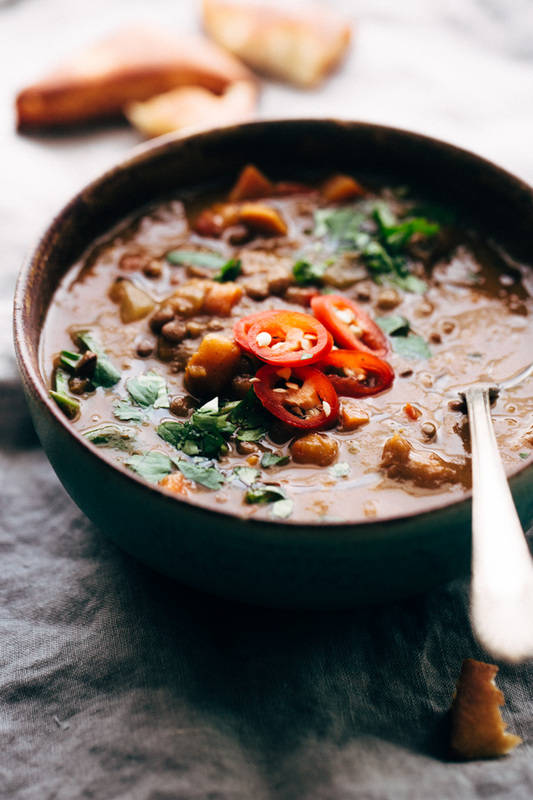 If you want to try something to detox, this Moroccan lentil stew from Little Spice Jar claims to help warm your soul while cooking in the slow cooker. 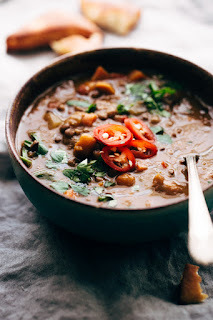 Plus, I think lentils are so good in soup. Ok, this is just the tip of the iceberg. Which meat-free soups are your favorites?